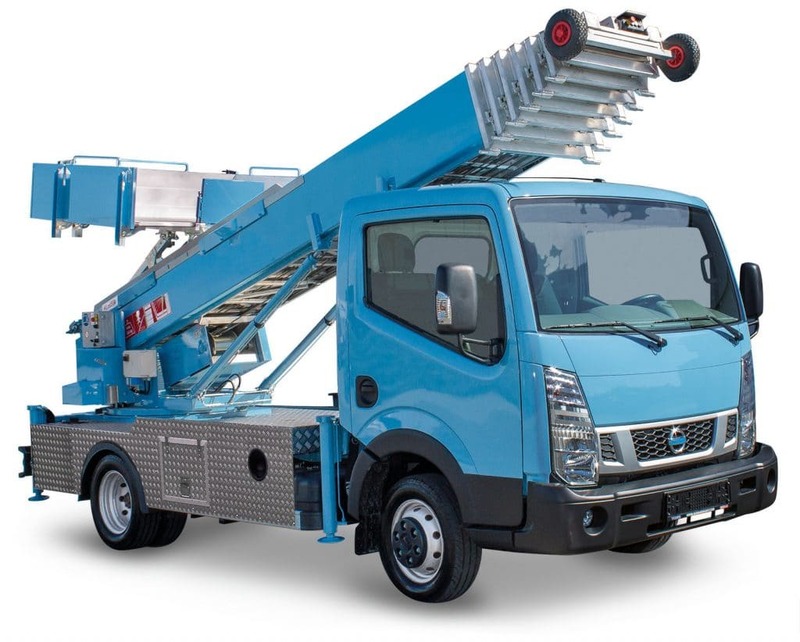 For companies that have to transport heavy or bulky removal goods from A to B every day, working without a furniture lift is almost unimaginable – because getting large objects through narrow and winding staircases to the top floors not only requires a great deal of energy, but also takes a tremendous amount of time. It is also not uncommon to experience aggravation with the owners when something gets damaged in the process. 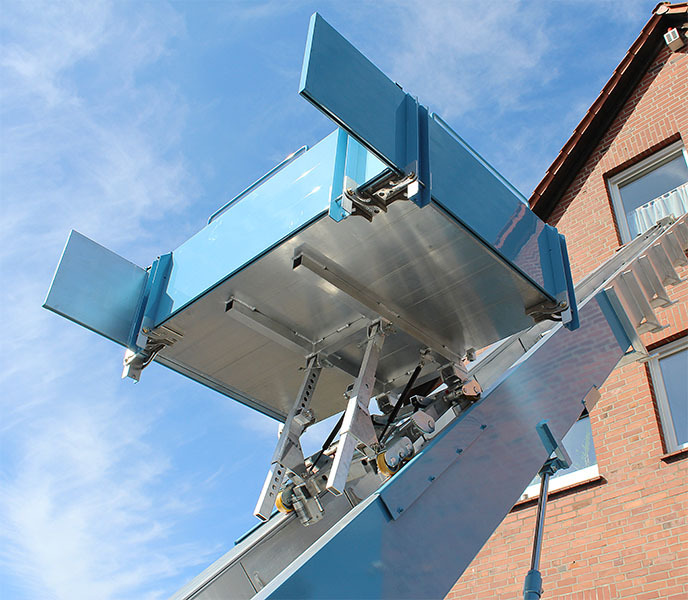 Starting from its original product, the inclined lift for construction, the first furniture lift was developed in the mid 1980s. 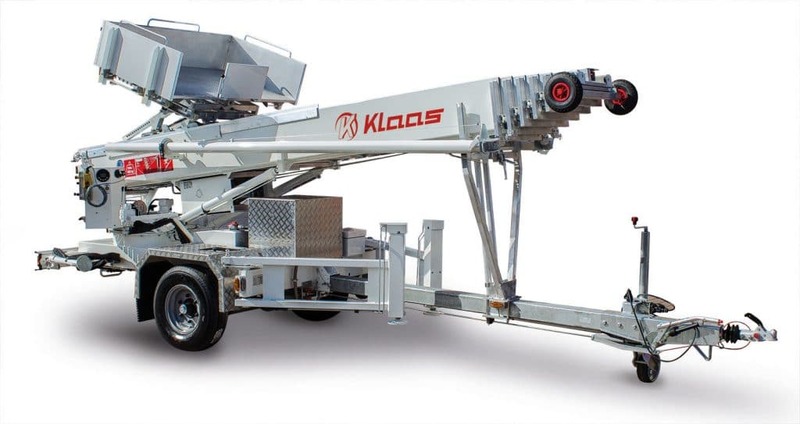 Refined in many details and adapted to market conditions, the Klaas product range today includes various models, which are used to handle removals and transport goods quickly and efficiently: from the extremely lightweight Toplight on a trailer chassis through to truck-mounted lifts with a rail length of up to 56 m.
Klaas inclined lifts impress with a solid rail package, which is put up by stable lifting cylinders with pipe rupture protection. These give the lift an extremely high resistance to torsion and guarantee optimal stability. The rails are equipped with a hydraulic brake, meaning that the rail package can be stopped at any given position. As the rail and slide winch are fitted with a safety mechanism, slacklines and skipping of the ropes are prevented. Precision work made in Germany ensures that these do not have to be greased and require little maintenance. An internal energy supply protects the cables from environmental factors and hazards at the operation site. The base extension on the rail package can be flexibly extended and lowered down to the floor. This enables back-friendly loading and unloading. Thanks to the support system supplied, there is no need for underpinning with wooden blocks or pallets when using on the flat. Our furniture lifts can be equipped with a choice of rigid, extendable or rotatable-extendable transport container. The sides can be folded down, thus preventing the removal goods from lying without underneath support. As an option, the furniture container can also be supplied with extended side flaps. This increases the transport area when folded out, without the corners being left out in the process. In this way even bulky objects or furniture with feet can be safely transported upwards. The furniture container can be adjusted horizontally at any angle and thus adapts perfectly to the on-site conditions. 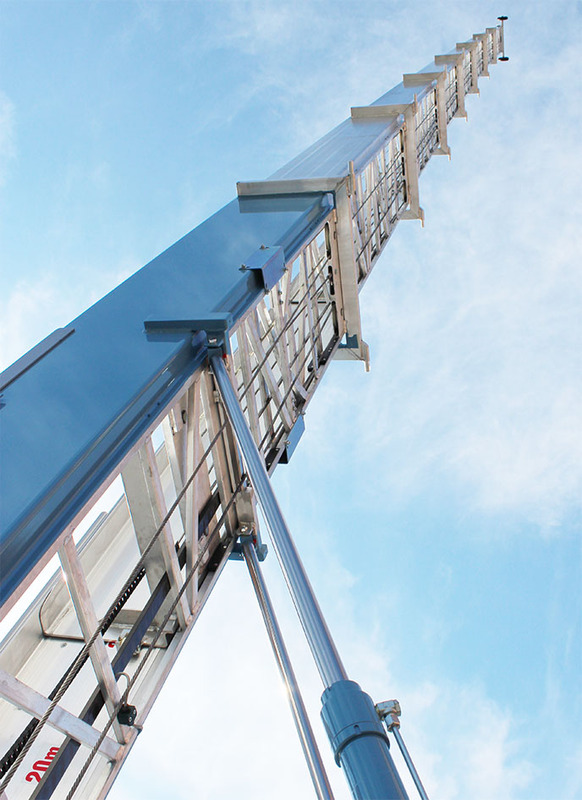 All the hydraulic functions on our inclined lifts can be operated with just one hand, whilst sensitive control slides on the appliance itself ensure safe set-up and dismantling. 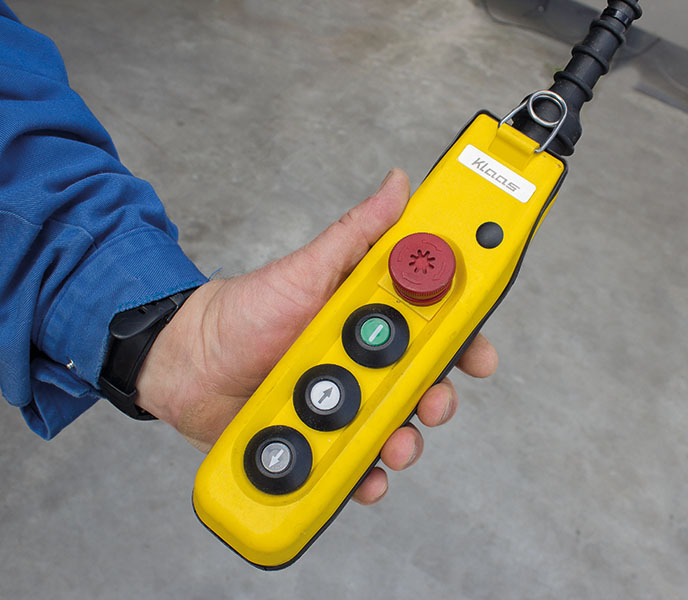 An emergency stop button can be used to stop the inclined lift quickly and with a single action. 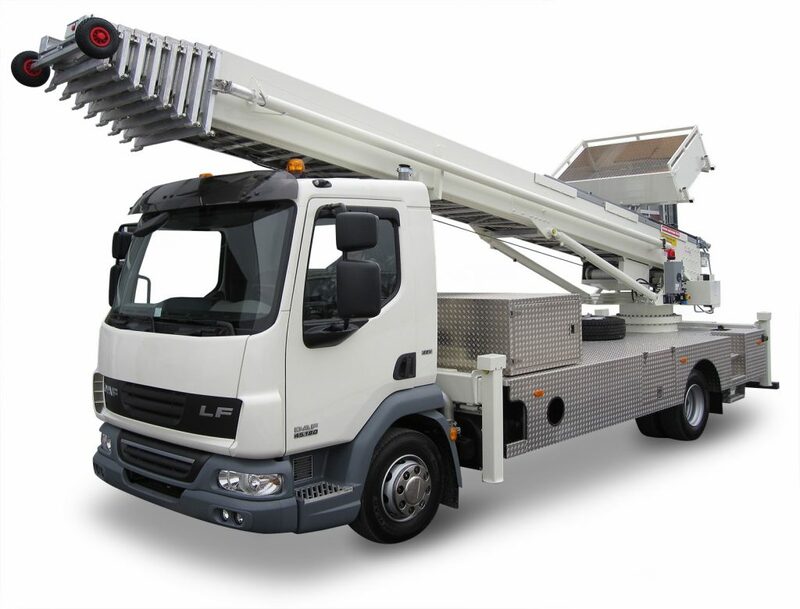 Klaas furniture lifts are equipped as standard with an electrical handheld remote control unit. Thanks to the 5 m long cable, the slides and goods being transported can be watched from a safe distance while moving and the end position can be moved to with pinpoint accuracy. A soft start-up and braking of the slide, which can be moved at two different speeds, protects the removal goods and increases safety.